According to reports, the driver who is alleged to be an internet fraudster popularly known as 'Yahoo Boy' was apparently drunk and was said to be on top speed before losing control of the car on Sunday night in Sapele area . He rammed into a building with full force - partly damaging the fence and gate. 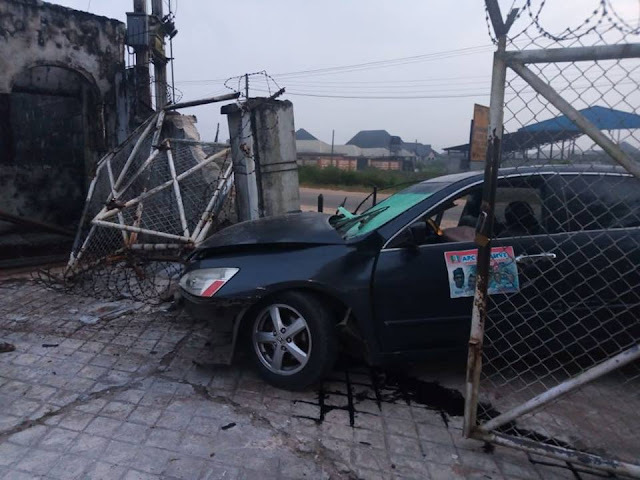 It was gathered that due to the impact of the accident, one of the car occupants broke his leg and was rushed to the hospital where he will reportedly undergo six months treatment. 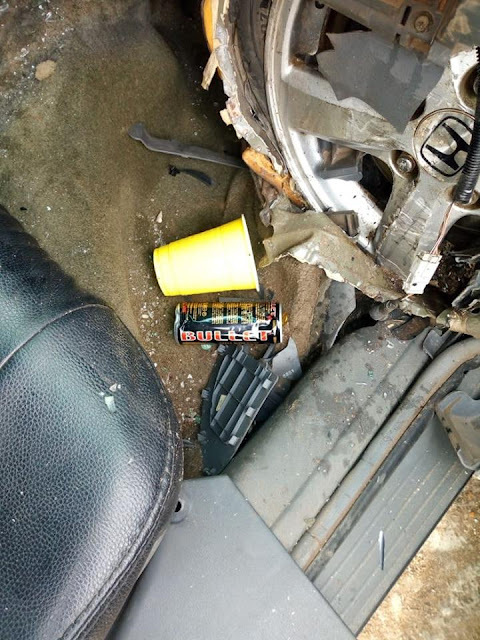 Alcoholic drinks such as Black Bullet and others were found in the car after the accident.